Romance readers love powerful protagonists, heroes and heroines who can solve their own problems and overcome any obstacle. Yet, we want our characters human too, which means they have flaws. As romance writers, how do we balance the need for flaws and fearlessness in our characters? How do we walk the line between challenging our readers with character flaws and giving them the all-powerful characters they want? Join us with your ideas, join us with questions. See you Sunday at 7pm EST! 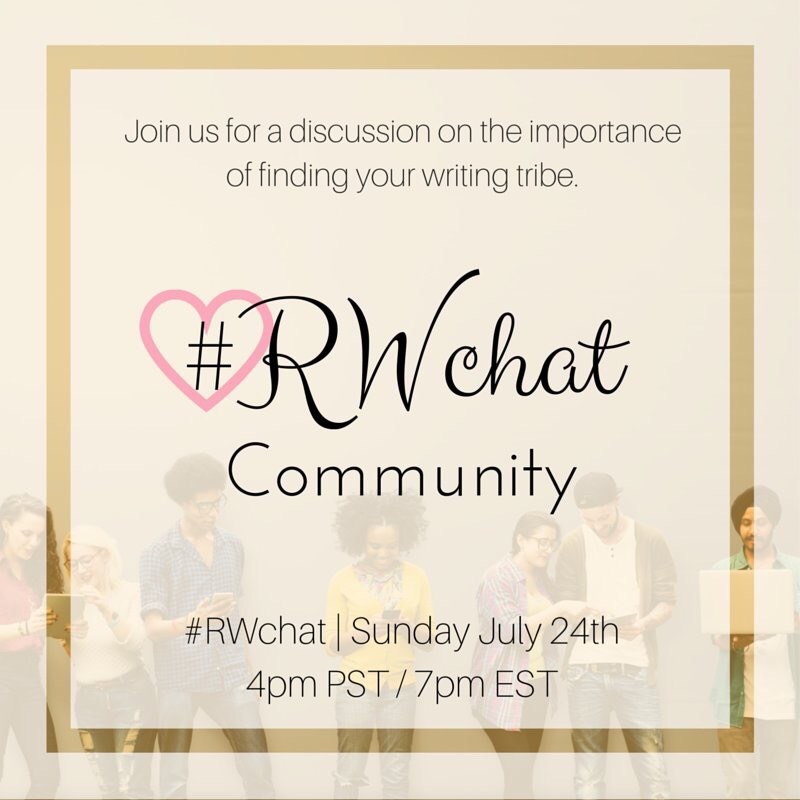 Here at #RWChat we’re all about hearing other people’s stories, so we’ve invited LaQuette to tell us why having a writing community is so essential. As a writer I require solitude in order to write. Whether that solitude comes from locking myself into my office, or sitting on the couch with my ear buds in and music blasting as my kids play on the living room floor, it doesn’t matter. If I’m going to write, I have to hear my own thoughts to create. Yes, I need solitude. However, I cannot be continuously alone and successfully tap into my creativity. What’s the difference? Solitude is taking a few moments without distraction to focus on my internal thoughts. Once my work for the day is done, then my need for solitude is completed as well. However, being alone means to have no one, at all, ever. This state of being perpetually alone can be unhealthy for the writer’s mind as well as career. If you’re going to succeed as an author, you’ve got to have a community, a tribe of your own. Here at #RWChat we’re all about hearing other people’s stories, so we’ve invited Laura Brown to tell us why she’s participated in writing contests, as a writer and as a mentor. I just love writing contests and have been involved on both sides: as an eager entrant and as a judge/mentor. The reason I’m doing the latter is because of how much I learned from the former. Simply put: I owe everything to contests, directly or indirectly. Contests took me from writing in solitude, to meeting my first critique partners, to learning the basics of the craft. Many contests use twitter hashtags to spread information and knowledge. It’s an excellent way to learn and improve, even if not picked as a finalist. Raise your hand if you’ve ever felt alone as a writer? Writing is a solitary thing. A lot of the time we like it that way. But a lot of the time we crave company too, and finding it among like-minded writers can be the best company of all. Come talk with us about places you’ve looked for community, where you’ve had success finding it, and challenges you’ve faced on the journey. Sunday 7:00 pm EST on #RWChat. See you there!